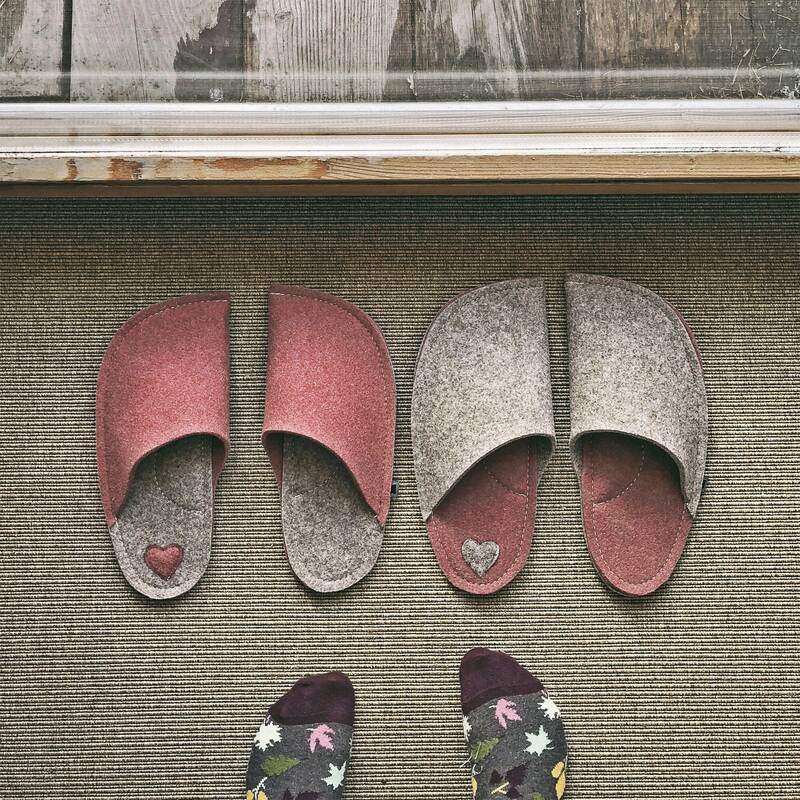 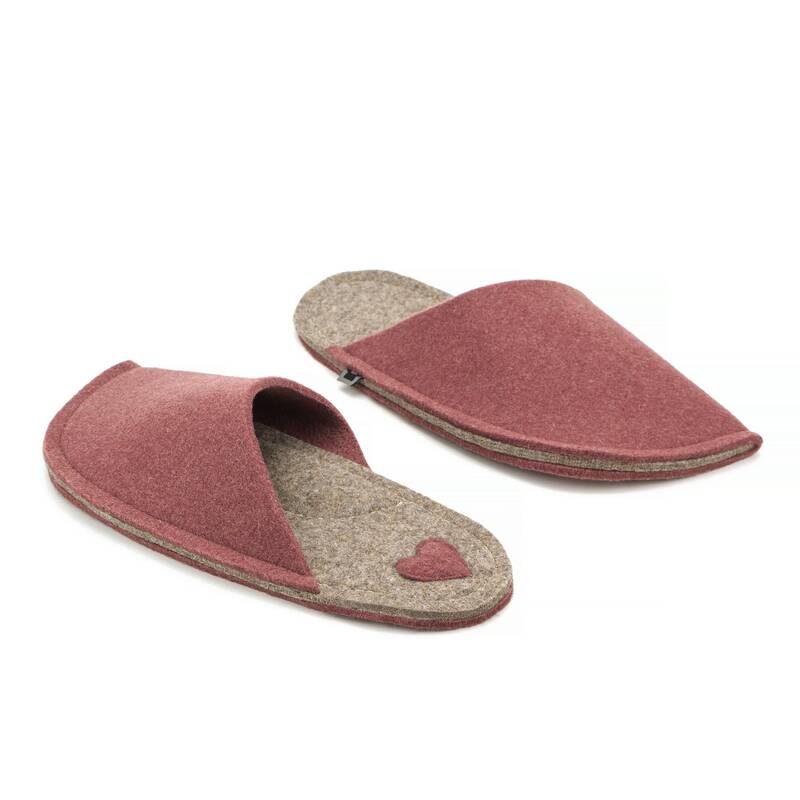 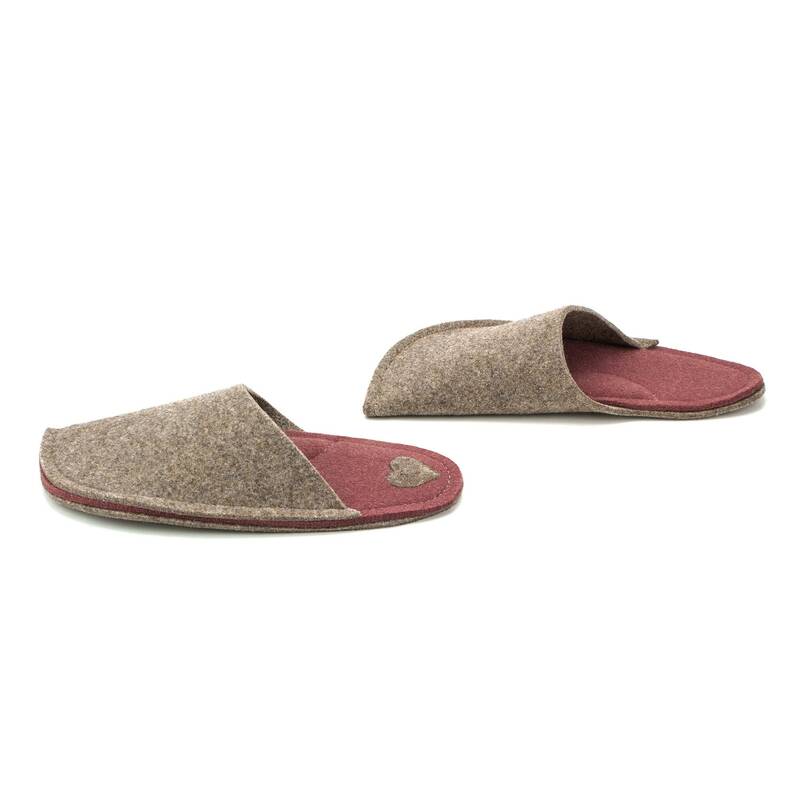 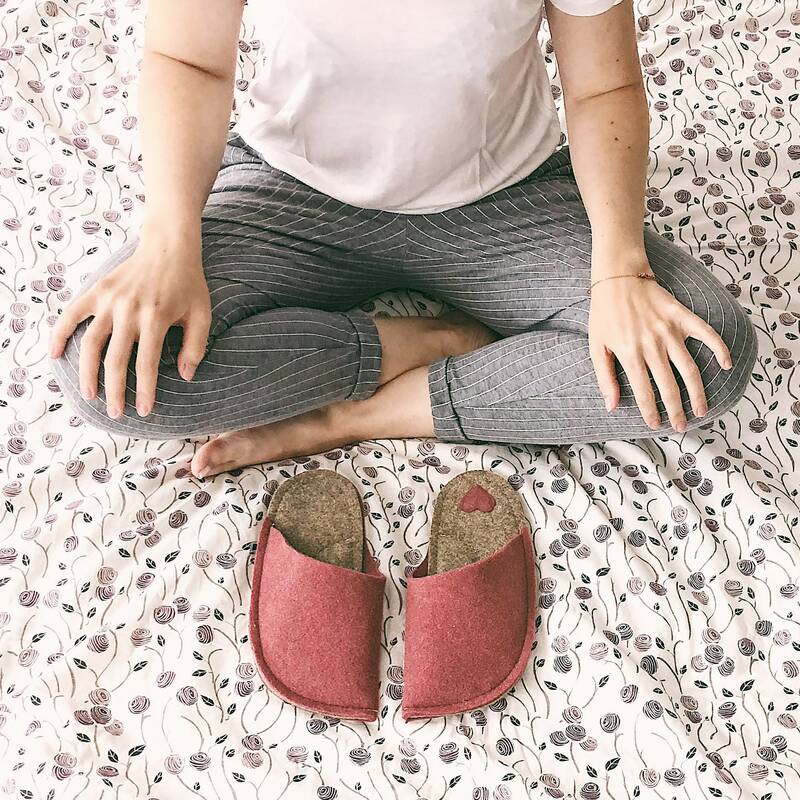 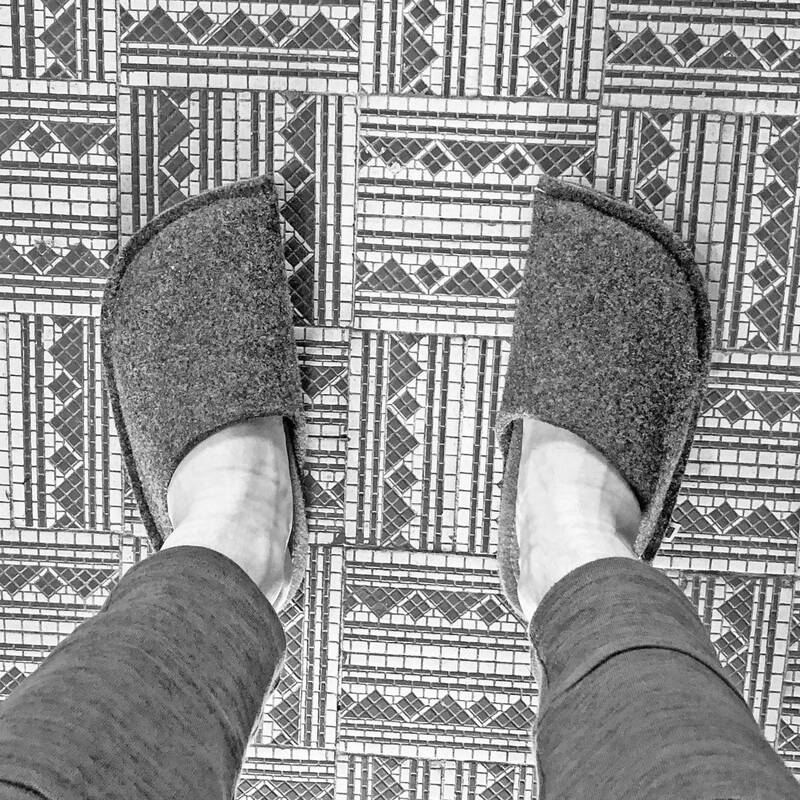 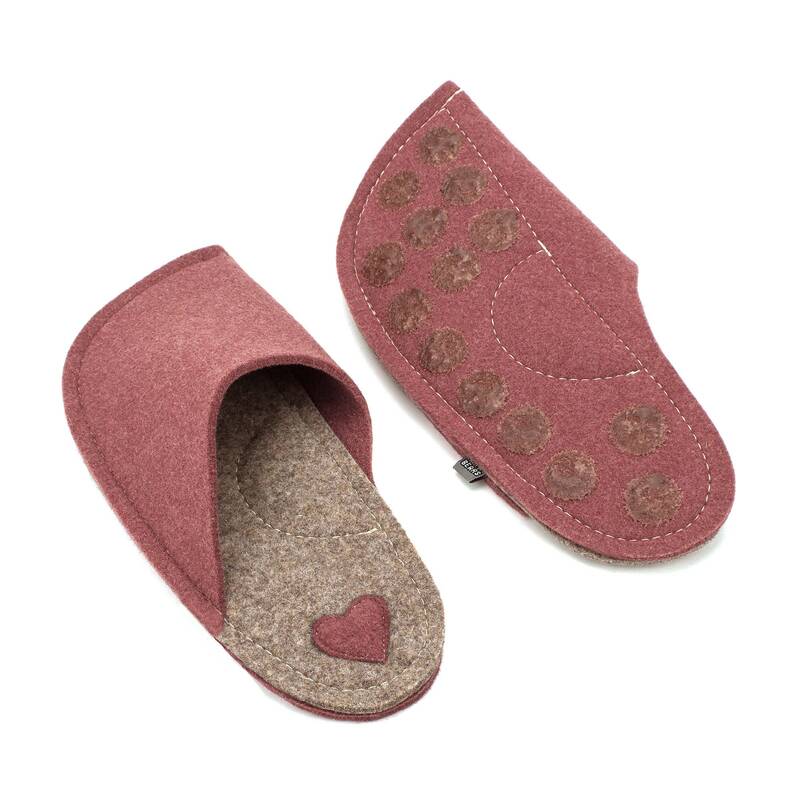 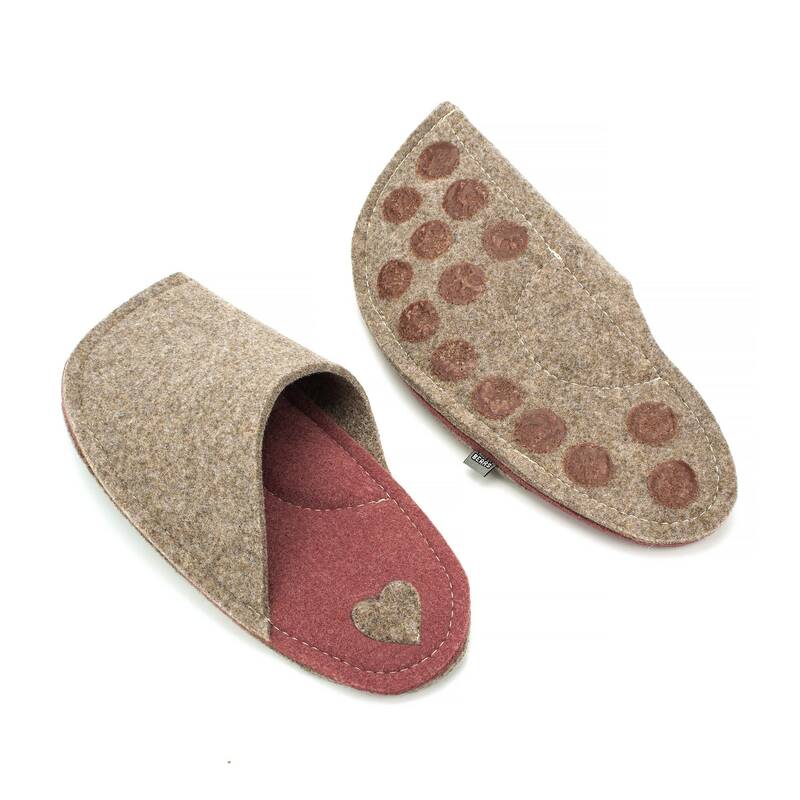 1. option: External layer of the slippers is LIGHT BURGUNDY, insole is TAN BROWN. 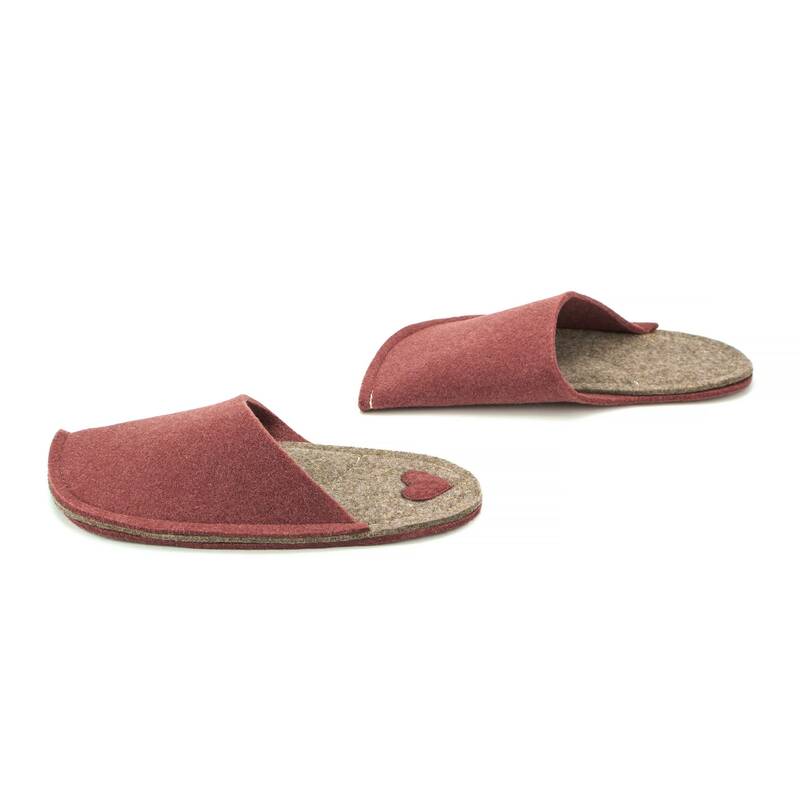 The heart patch is LIGHT BURGUNDY. 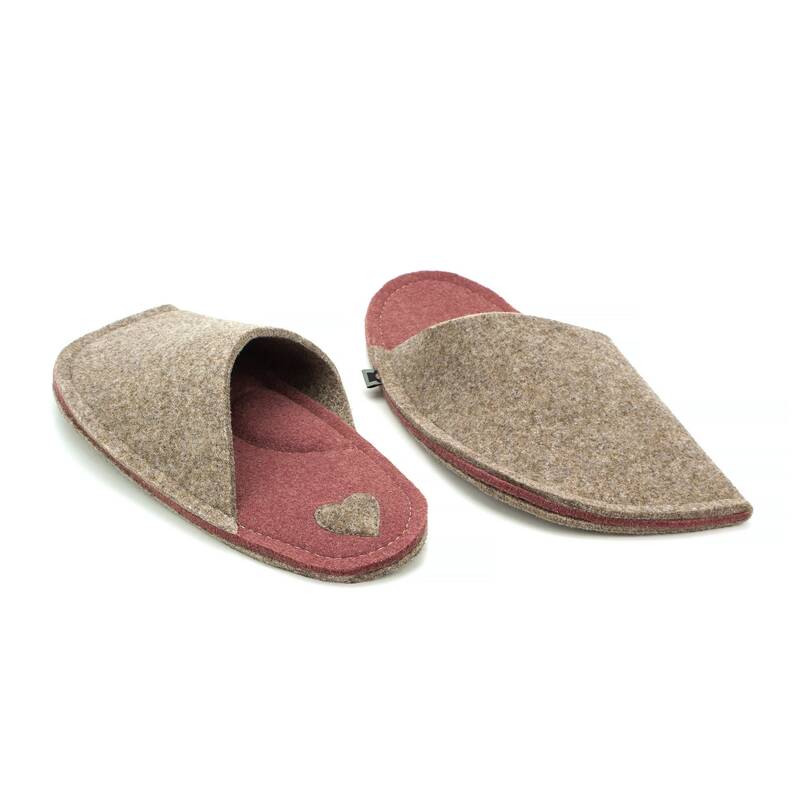 2. option: External layer of the slippers is TAN BROWN, insole is LIGHT BURGUNDY. 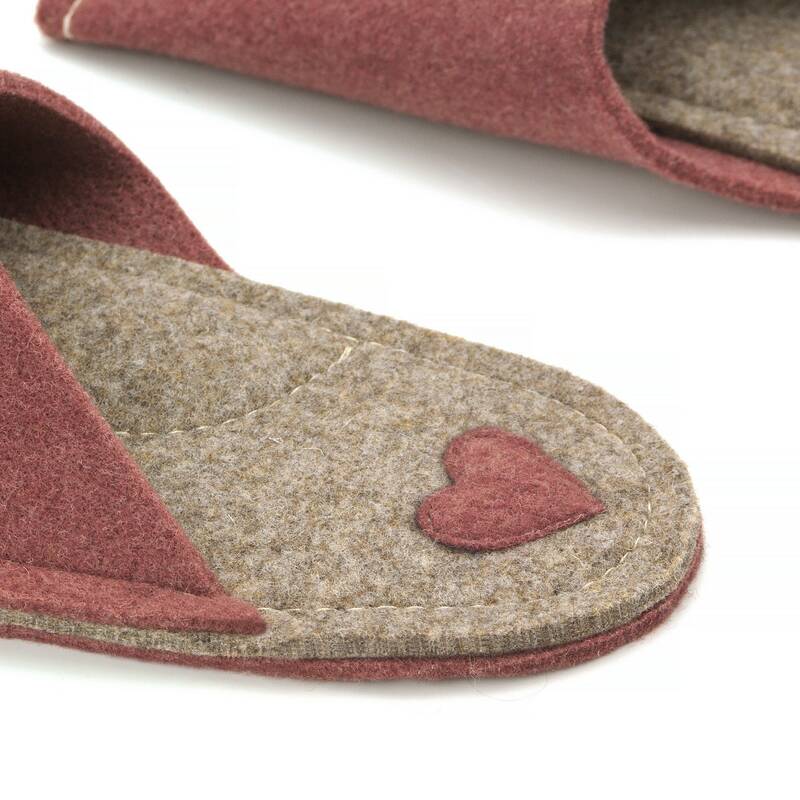 The heart patch is TAN BROWN.